Regular moving is already hard enough as it is. Moving from a house can really make you mad and take a really long time and money to happen. Now try to picture moving an entire office worth of stuff. It can take months when you work with the wrong moving company. This shouldn’t be that hard and we know this. That is why our staff is by the phones ready to go and move your whole office when you call us. Our staff has been training to move whole offices for years now and it has been a great success for us. Check out Oakland Movers Site. It does take a really long time regardless though, so it is best if you give us a bunch of time to get it done for you. There are just so many huge pieces within an office and sometimes we even need to break them down. However, regardless of, we are the company to call when you need a whole office moved. We have moved a ton over the years and have gotten really good at it. The sooner you call us the sooner we are going to get it moved for you. Our staff are all pros and really good at it now. If you call and ask for an estimate, we can send some of the experts your way to let you know what you might be spending when you hire us to move your office for you. 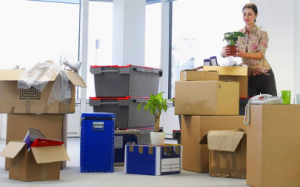 Don’t let the fear of moving offices stop you from doing it. You found the perfect company right here and we are ready to help you. We have all of the staff and equipment needed to get it all moved right away and safely. Call us today and schedule an appointment and we can get going on it right away for you and your office.